Al Ahly’s director of football, Sayed Abd El-Hafiz, confirms new contract offers for Al Ahly duo Abdallah El-Said and Ahmed Fathi. Abd El-Hafiz claimed that players, with the significance of El-Said and Fathi, are expected to have the highest and best contracts in the club. The club has attempted to tie Abdallah El-Said and Ahmed Fathi down on a new long-term contracts, as their current deals due to expire in June 2018 but their endeavors haven’t brought the desired results so far. The duo has received several offers abroad in Gulf countries and Europe. Most recently, Süper Lig club Konyaspor have contacted El-Said to sign him on a free transfer next summer and Saudi Pro League side Al Shabab attempting to sign Fathi. 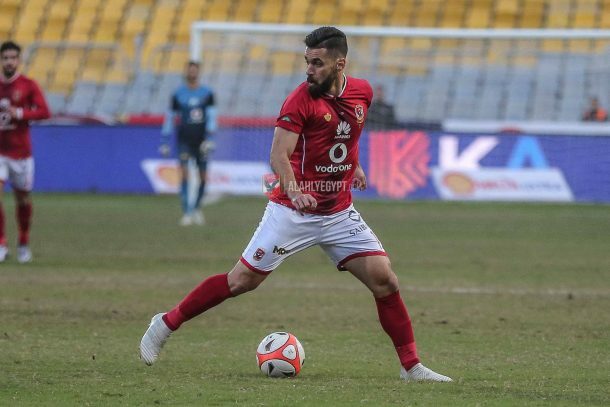 Both players play a pivotal role in structuring Al Ahly’s defense and midfield, and their departure would be considered a huge loss to the club. El-Said has contributed with 10 goals and 11 assists in the Egyptian Premier League this season. Abd El-Hafiz stated that the club will not expose the details of the new contracts, assuring that they contain several advantages and merits compared to their old contracts.